Welcome to the Cobblestone Inn & Suites in Holyoke, Colorado. Our beautiful hotel is conveniently located near everything that Holyoke, Colorado has to offer including The Phillips County Raceway, Melissa Memorial Hospital, Hospice of the Plains, Centennial Mental Health Center, Gerk Funeral Home, and Baucke Funeral Home. Our hotel also provides easy access for traveling to and from U.S. Highways 6 and 385. In town for business? 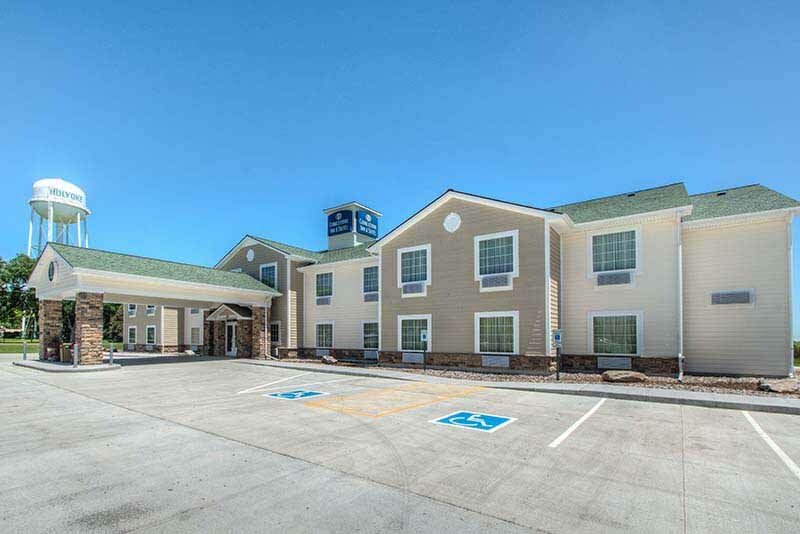 The Cobblestone Inn & Suites in Holyoke, Colorado offers easy access to Holyoke Enterprise, Scholl Oil & Transportation, CHS Grainland, and much more! In town for some fun? Holyoke has an indoor swimming pool, an 18-hole golf course, ball fields, tennis courts, a skateboard park, fishing ponds, and a movie theater.